Charlotte and Nick’s Lincolnshire country wedding was glorious. It all took place in the quaint village of Ranby where Charlotte grew up. 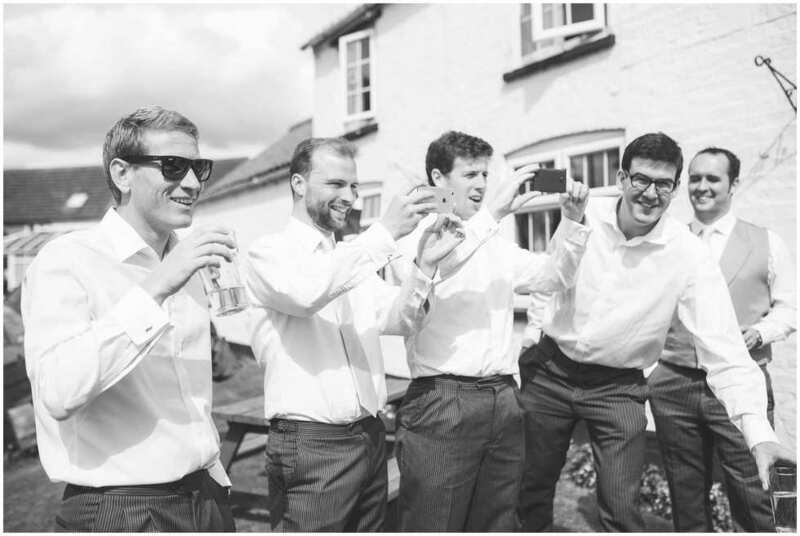 I met the groom and his groomsmen first of all at a nearby pub where a cider or two were helping ease out any nerves. Back at the family home, Charlotte looked absolutely stunning and drew a few proud tears from her Mum and Dad as she got ready. It was already abundantly clear that today was going to be very special. The size of the local church resembled that of the village – tiny and lovely. So small in fact that some guests had to be seated outside of the church. This added to the sense that the couple were so loved by so many people. A horse and carriage carried a beaming Charlotte and Nick away from the church after a lovely ceremony conducted by a friendly Australian vicar. 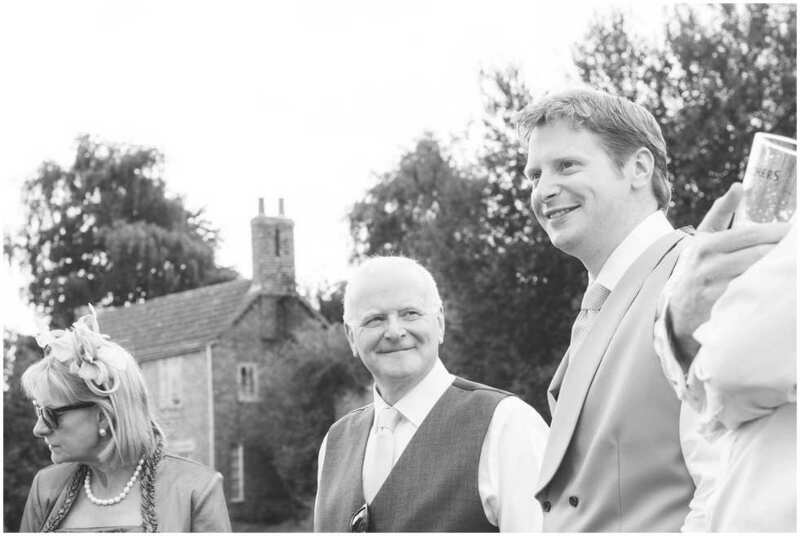 We had time for a few shots in the grounds of their reception, Ranby Grange, before the rest of the party arrived. Nick and Charlotte had lots of fun ideas they wanted to try out including peaking around trees and bushes and creating human pyramids! The speeches were both touching and funny and the food divine. 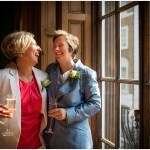 They even had their own wedding brandy! The biggest surprise of all however was their choreographed dance routine. Absolutely amazing. Both incredibly funny and impressive at the same time. This resulted in a full dance floor from the word go as everyone threw their funky shapes into the early hours to the excellent sounds of the Serious Hat Band, a fantastic covers band who have performed with musical legends such as Robbie Williams and Westlife no less! 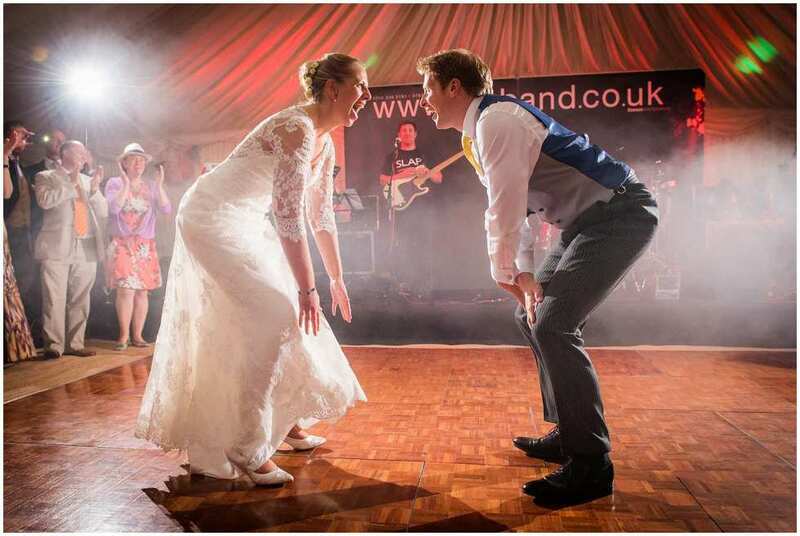 All in all, a fantastic Lincolnshire country wedding. If you or someone who know of is in need of a Lincolnshire Wedding Photographer or a wedding photographer for anywhere at all for that matter, please get in touch. I happily travel all over the UK and world, capturing the joy of people in love and the happiness of those who love them. More pictures here.